Kamil, one of several feline subjects of the Turkish documentary "Kedi." 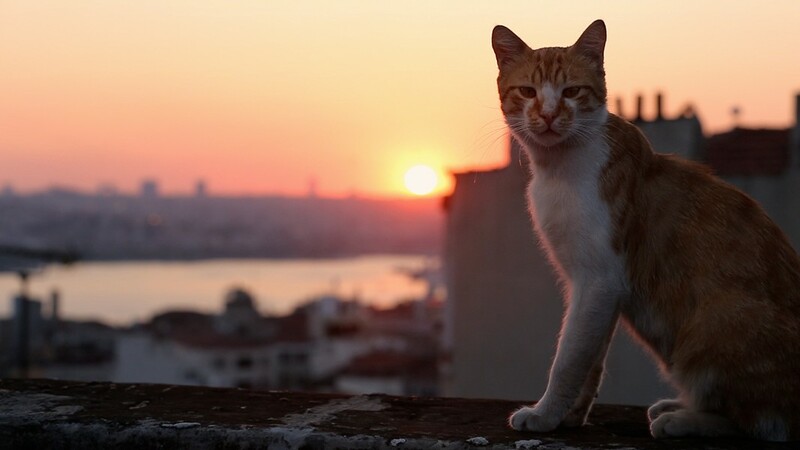 Turkish filmmaker Ceyda Torun turns her cameras on the infamous street cats of Istanbul in "Kedi," a charming, warm-hearted documentary tailor-made for cat people (or animal lovers of any stripe). For thousands of years, these mysterious creatures have ruled the streets of Torun's hometown, and in that time they've grown to be an integral part of its citizens lives. "Without the cat, Istanbul would lose its soul," one local observes. Torun follows seven specific cats (of the some 30,000 strays that roam the city), keeping her camera low to give us their view of what life is like for a homeless cat in Turkey (it's really not bad, not bad at all). As the filmmaker tags along the animal's daily adventures, she conveys the beguilingly unique personalities of her feline subjects. She also captures the sense of communal responsibility that's emerged among residents when it comes to their city's furry cohabitants. The locals are always ready to scratch behind the ears of a passing cat or welcome one into their homes to offer a few scraps of food, without a moment's hesitation. They'll even cough up for some medical treatment when they come across one that's feeling sick; a baker observes that most everyone he knows has a running tab with at least one area vet. By talking to the various humans who've found themselves the de facto caretakers to these otherwise proudly independent creatures, the film becomes an unconventional portrait of the city and the people who reside in it. It's a welcome counter portrayal for a place that has recently been more likely to make the US news because of terror attacks or political unrest. But through any upheaval, the cats have remained a constant. By documenting these often profound cross-species bonds, "Kedi" becomes a record of how the changing face of the city affects all its living inhabitants. This playful documentary nimbly transforms into something with a surprising emotional heft.